Dr. Montessori noticed early on that children are instinctively attracted to geometry, in large part because everything in the natural world is geometric. As the child adapts to her world, she takes in impressions that are geometric. All natural symmetries are multiples of 2, 3, or 5. 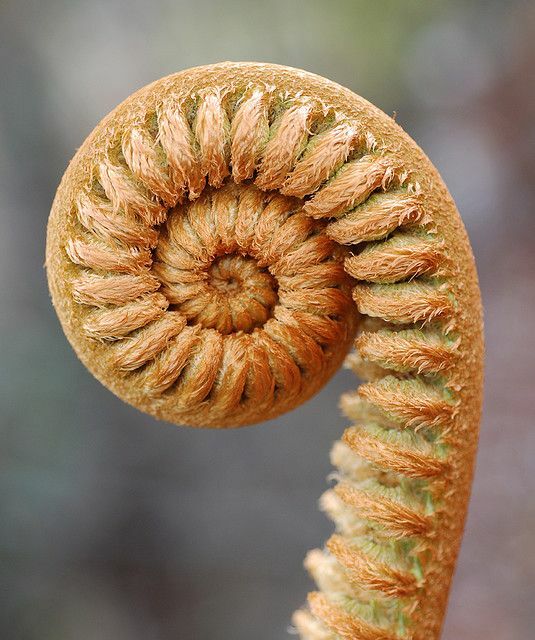 The same mathematical patterns or forms are repeated again and again; there is a logarithmic spiral at the tip of a fern leaf, which is the same spiral that is seen in a sea shell. The child observes such patterns around her from birth. In this way, these shapes are already a part of the child’s unconscious mind, and thus attract her attention naturally. Below, how the Fibonacci Sequence presents itself in nature, and how it all relates to Montessori. 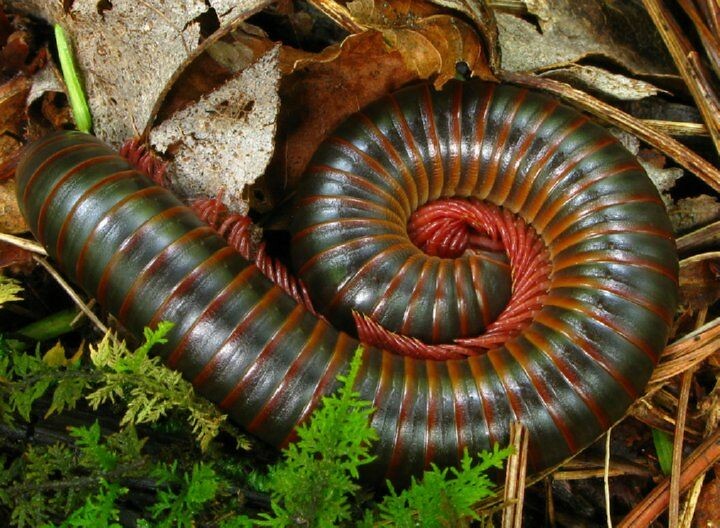 How amazing are the similarities between a plant (top) and an animal (above)?! 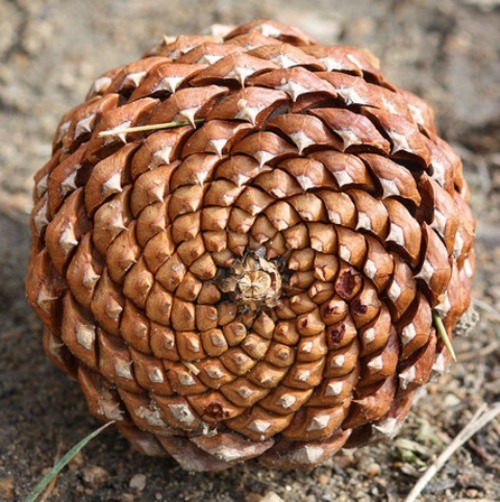 Their constant appearance in nature – such as branching in trees, the arrangement of leaves on a stem, the bracts of a pinecone, or the unfurling of a fern – make them a readily available math resource for young children. 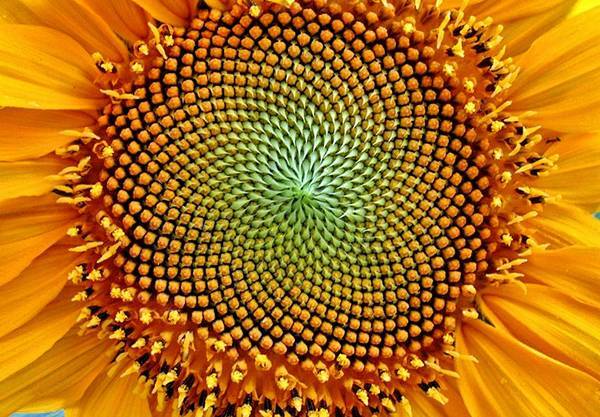 For parents with young children, a fun activity to do is to observe the spiraling seeds on the head of a sunflower or to count the petals on a daisy to see if they add up to a Fibonacci number (many sunflowers contain the number 89, or in some cases, 144). Or gaze into the center of a rose before it opens completely to observe the petals arranged in an elegant spiral shape. Seed heads and flower heads often use arrangements that are based on Fibonacci numbers because, as it turns out, that is the most efficient way of packing seeds, florets, or petals into a round arrangement while still allowing more of the seeds or florets to grow from the middle. 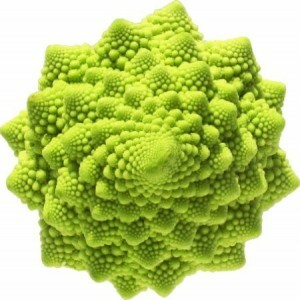 Nature is just chock full of mathematics! 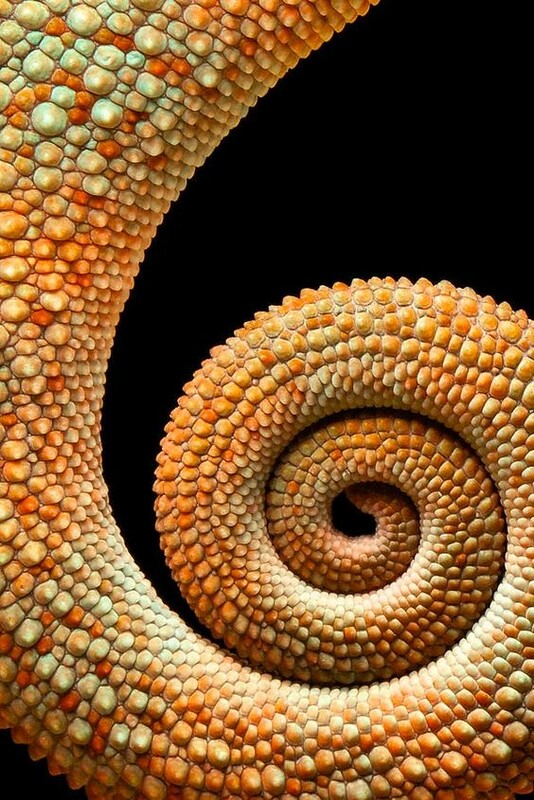 The Fibonacci sequence can also be see in the world’s creatures. 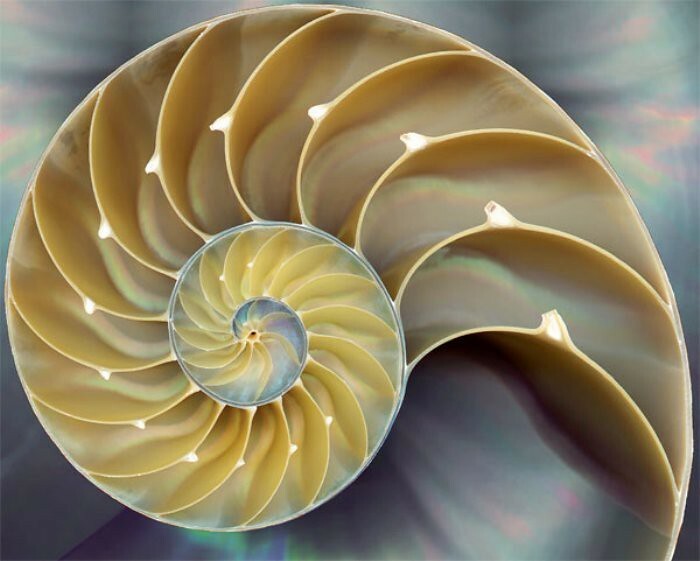 The nautilus shell is the most commonly referenced logarithmic spiral, and can best be observed through a cross-section of the shell’s inner chambers. The seeds of a pinecone twist in opposing Fibonacci spirals, and the interesting romanesco, a vegetable that also contains fractals (when you zoom in on each bump, it is made up of its own spirals, its spirals have spirals, and so on!) 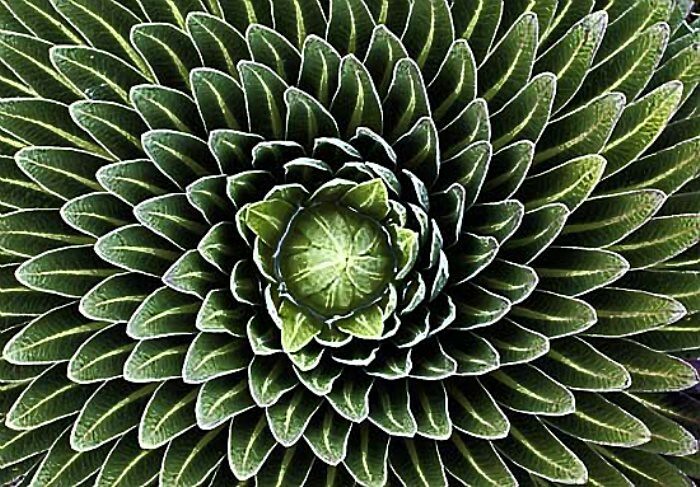 is a fantastic example of Fibonacci numbers in nature. 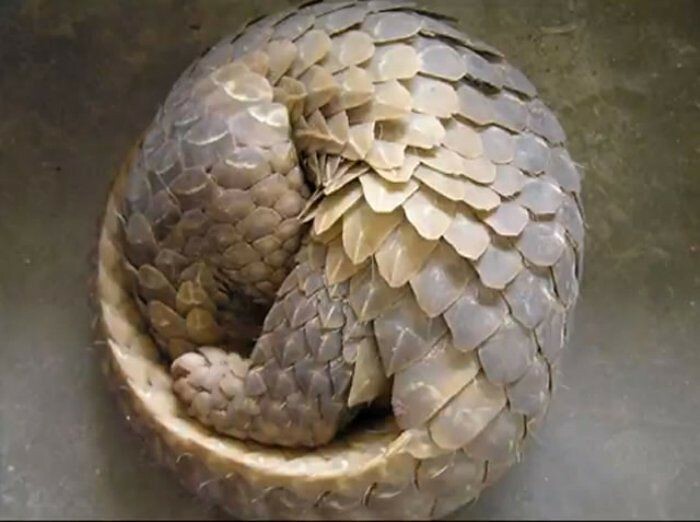 Plenty of creatures also contain this fascinating arrangement! 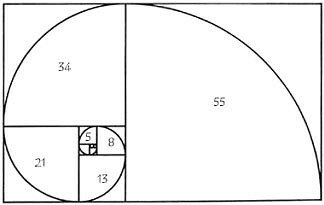 The next time you find yourself out on a nature walk, or even walking through the produce section of your grocery store, be sure to point out the wonder and beauty of Fibonacci to your child!